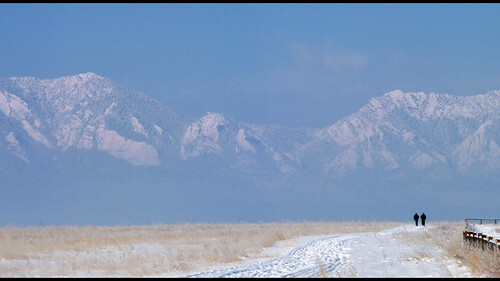 But there is so much more to Colorado than snow. 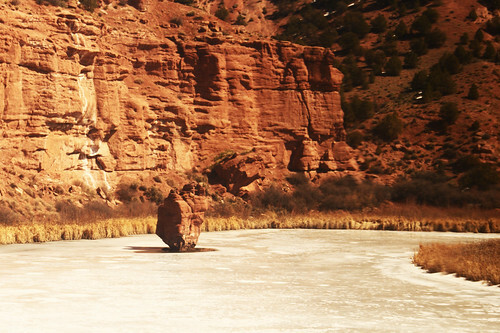 Over spring break, we took our third trip on the California Zephyr to - where else? - California. The route winds through the Colorado Rockies and canyons in Utah, zips through the desert of Nevada and then chugs through the high Sierras. Events that unfolded in April held a slight hint of moving away from all this. We were all miserable, feeling wretched about it, each for our own reasons. We chose to live here; moving could not be an option. After four weeks of torment, we laid that to rest. Luckily. I don't know how or why but we are very lucky and I am grateful for that every moment of our lives. 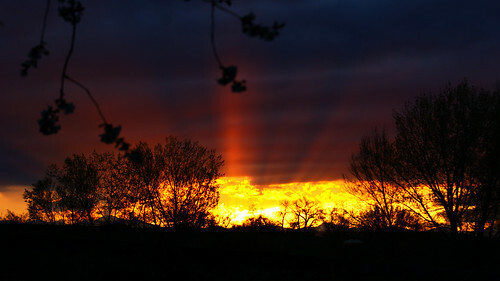 The sun seemed to join in the celebratory note with the return of spring sunsets. For me, the celebration had to be red. It's all about Colorado, after all! With a very slight twist - it must be Indian, too. Shankari and Anita helped by making sure that these red beauties found their way to my kitchen. Thanks to ET (remember Arusuvai?) and Anita for tirphal and my friend Jen for sichuan pepper from her bottomless pantry. You know what I made, right? 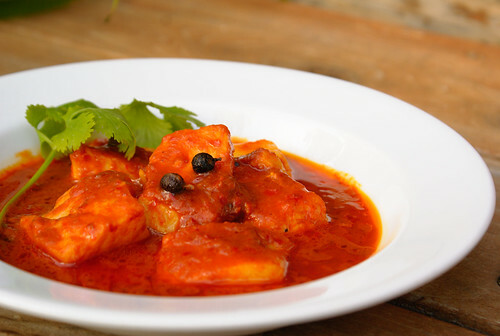 Tikshe amshe, a fiery fish curry from the western coast of India. For once this is a name that can be translated literally: spicy sour. Or, in Medha-speak, willingly fry your tongue and then go hold it under a running faucet. Seriously, though, if it doesn't burn your lips and your throat, it's not tikshe amshe. The name does take for granted the burst of lemon peppery fragrance that tirphals add to this fantastic blend of red chillies and tamarind. I couldn't add much more to the other bloggers who have waxed eloquent about tirphal: Ashwini, Meera and of course, Shilpa; except that its Chinese cousin has a very different, albeit heady, fragrance. I haven't yet figured out how much of sichuan pepper to substitute for tirphal. If anyone out there has an inkling, please let me know! 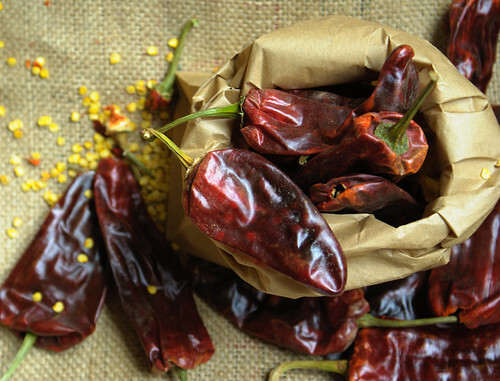 Soak dried red chillies in water to soften their skin. Use warm water if you are short on time. Put the tirphal in your mortar with a little water and bruise them firmly with the pestle. Allow the tirphal to soak in the water for at least 10-15 mins. Grind chillies, tamarind and garlic into a thick paste, adding only as much water as needed to stop your blender from groaning. Heat oil, add paste, tirphals and the water they were soaking in. Add salt a little cautiously and bring the mixture to boil over medium heat. Turn it down to a simmer. Add fish which has been diced into pieces that are a little bigger than bite-size. Make sure that the fish pieces are covered by the sauce. Heat for only as long as it takes the fish to cook. When cooked, add coconut oil for additional flavor. Serve immediately over steaming hot rice. I've made this with salmon, Spanish mackerel and Chilean sea bass. The Chilean sea bass was the best even though it lacks the fishy flavor of Bombay's famed mackerel or bangda. If the Indian grocer in your area stocks bangda, grab a few because that is the perfect fish for tikshe amshe. I usually make this with 20 dried red chillies from the Indian store. This time, however, I used 5 of those beauties that Anita sent me and added 5-6 more of the regular dried red chillies. Anita's red chillies added a intense flavor to the heat of the chillies. This is best made with byadgi (bedgi) chillies. Traditionally, the sauce is much thicker, almost like a paste that clings to the fish. You could cook it down further before adding the fish. I like to drown my rice in the sauce which is one of the two reasons why mine is not as thick. The other reason being my blender. Thank you for a spot on recipe, I will try it with my bangda stash. Looks mouthwatering. Thank you for showing the difference between the sichuan and tirphal, I thought they were the same thing. The color is so vibrant. Amma used it for idli powder..
Wow! That does look firey. Lovely Colorado and Utah pics Manisha. Have been meaning to take the Durango trip with the train crazy toddler. When the stars align. The fish curry is literally making me salivate. Did you say 20-25 chilies? They are not the Kashmiri kind or are they? Looks fantastic and I agree with Medha that you need a tap of running water close by. Yum though. Good to see you celebrating again! Kashmiri mirch must have made this dish less fiery I am sure - they are just so mild but what a brilliant colour. Byadgi I fell in love with when I saw the fiery colour they impart with not as much heat as I was expecting. Should have asked sonny boy to pick some up for me! But I did pick some longish redder looking chillies from the market in Munnar...How I wish we would know all our chillies by name. Glad you are still in CO, would love to visit you there one day! oh what a beauty. no words to explain it.Nature at its best. Fish curry looks very colourful i love the deep red colour.wonderfully done. lovely pictures...although I do not eat fish, I like the gravy color. It is so exotic..
hmmmmm..Colorodo, I miss that place, I had spend a good and memorable 2 yrs during my initial stay in US.Fantastic place. Angela, they are from the same genus Zanthoxylum but different species. Tirphal is Zanthoxylum rhetsa and there are several different Chinese species. I don't know which one I have but I think it is called chuan jiao. Shankari, when I used regular dried red chillies, the color was a dark red. Not as vibrant! Jaya, we haven't done the Silverton small gauge train ride as yet either. It's supposed to be gorgeous! Soma, the snow is not a big deal as it's gone in a day, at the most two. We'll take precip in any form! 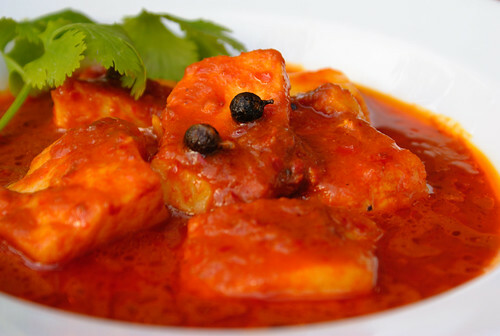 This fish curry is very easy and rides on the complex flavors that tirphal adds to the mix. Try it! ISG, to make it really spicy, yes. This one was toned down a tad by the fat red chillies that Anita sent me. She says they are Kashmiri chillies. But it really should be 20-25 byadgi chillies. Jen, me too! I didn't want to move away from all of you! Anita, *if* they are Kashmiri mirch. I can't seem to find byadgi chillies here anymore. I hope you are making notes! And, yes, you need to come back to CO.
Suhaina, Thanks! The color is amazing but it depends entirely on the chillies used. Neha, thanks! There are lots of other dishes that can be made with tirphal and red chillies but none as colorful as this! Sumi, no arguments there! Although you happen to be in a pretty amazing place yourself! As fierce and fiery as a sunset. I propose buckets of beer to chase it down. Great shots, no matter the weather nor season. It's always doing something somewhere on the planet. Finally, finally! Are the spices still in a good condition? 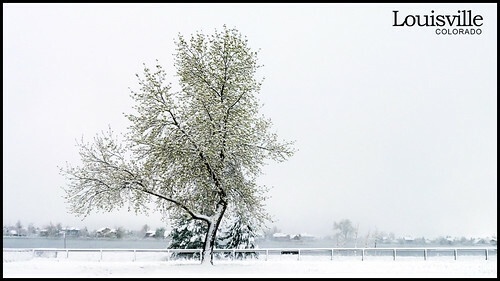 Your landscape photographs are just gorgeous. They really do speak more than a thousand words. Susan, thanks and yes, beer makes for a perfect pairing! 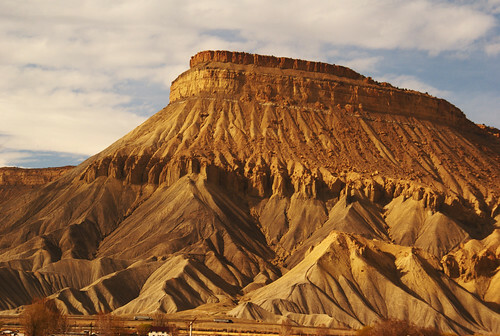 Miri, the pic of Mt. Garfield was taken from a moving train, through dirty tinted windows! Glad you liked it! I hope you liked the tikshe amshe also! Aparan, you have ocean, I have mountains - perfect! I haven't been to Yellowstone either. It's a 10 hour drive from here and you need at least a week there - we would. I hope your family is able to visit soon! ET, thanks ani kashi ahes? Whole spices last much longer here because it's so darned dry! Thanks again for the spices! 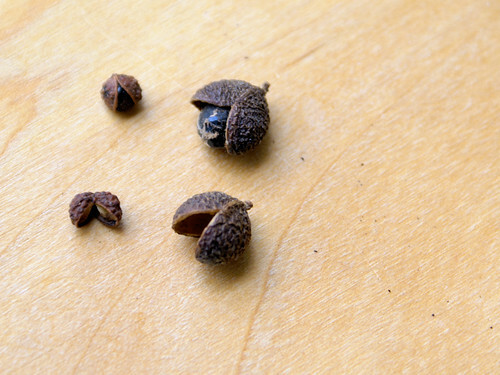 thank you for the shot comparing sichuan pepper and tirphal. I used to think both were same. and that is some color on that curry! looks so inviting. Joyce, thanks! The color depends entirely on the dried red chiles you use. Kashmiri chiles or Rasham patti work really well in this recipe! I think I first heard it from a well-known chef in Bangalore - he said that sichuan peppers are the same as tirphal. I knew as soon as I saw them that they were not the same. Related, sure. But not the same!